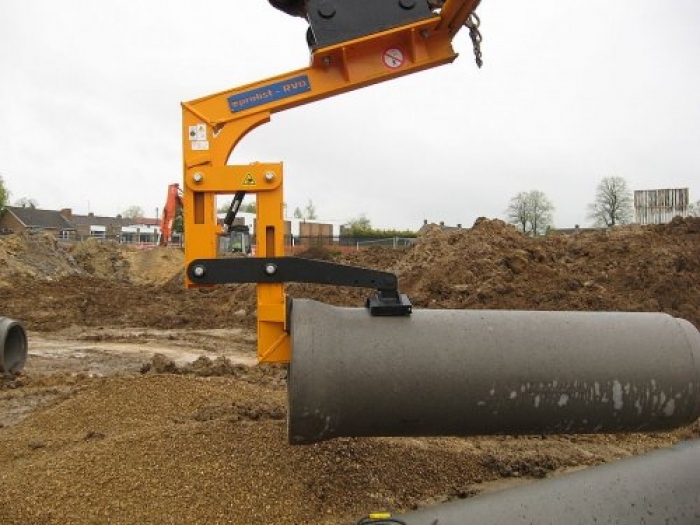 Fast Hire & Sales offer for sale and hire the Probst Concrete Pipe Lifter RVD 4. This unique mechanical pipe clamp is a designed for the installation of steel reinforced concrete pipes, such as sewer pipes. Fast Hire & Sales can supply the Probst RVD 4 for sale or hire on a nationwaide basis. Call Fast Hire & Sales your Authorised Probst Dealer for more information. No Slings, No Chains, No Personal near the pipe when installing, loading or unloading, resulting in a reduction of crush related injuries.